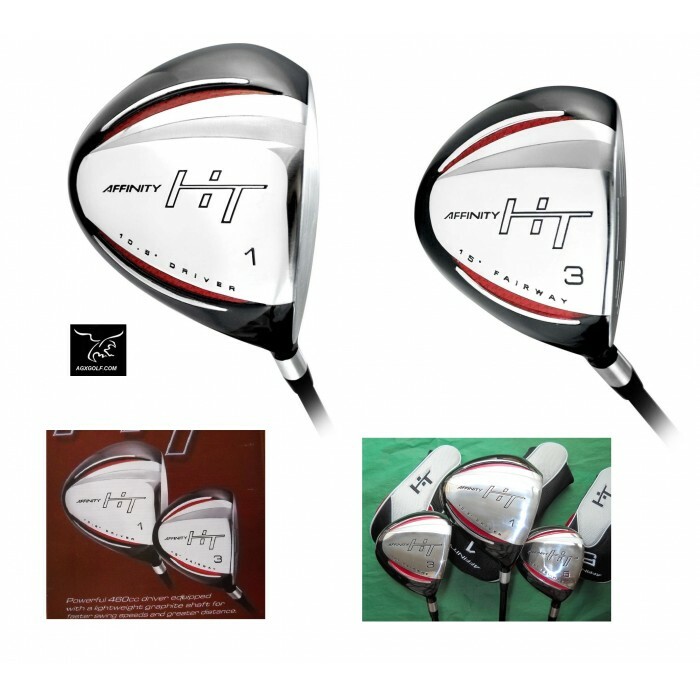 The same company that brings the Orlimar golf clubs to the pga pro's has designed the HT men’s edition woods. The manufacturer's suggested retail price for this set is $199.95 your price is much better!! Set includes one year manufacturers warranty! Driver: oversized 460cc forged 7075 head with "large face profile" for the maximum "sweet spot" and that can mean up to 30% greater distance. 3 and 5 woods: lower profile heads to get the ball up out of tight lies and thick ruff and a "long way down the fairway". 100% high modulus carbon Regular Flex graphite shafts on all woods. Matching head covers for all 3 woods. 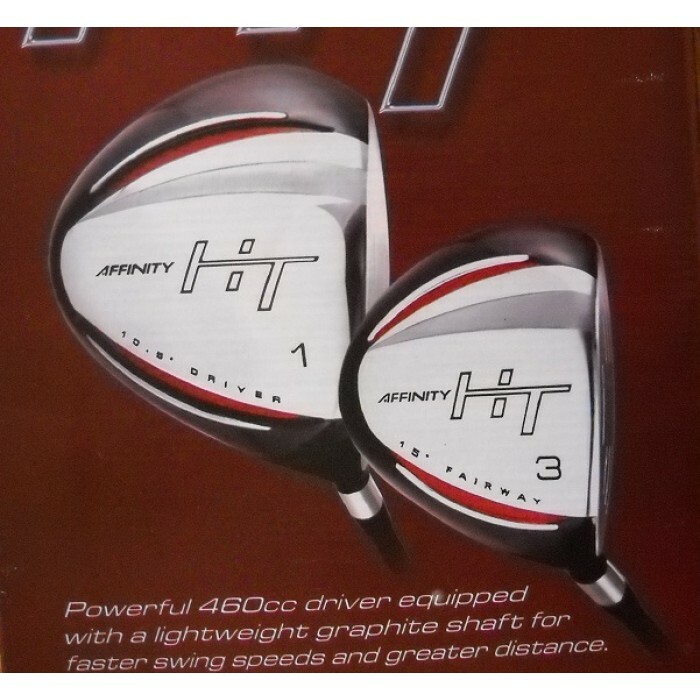 This set of golf clubs from affinity / orlimar golf is an advanced full technology package!! 460cc forged 7075 (10.5 degree) featuring hi speed hi moi large profile face technology. 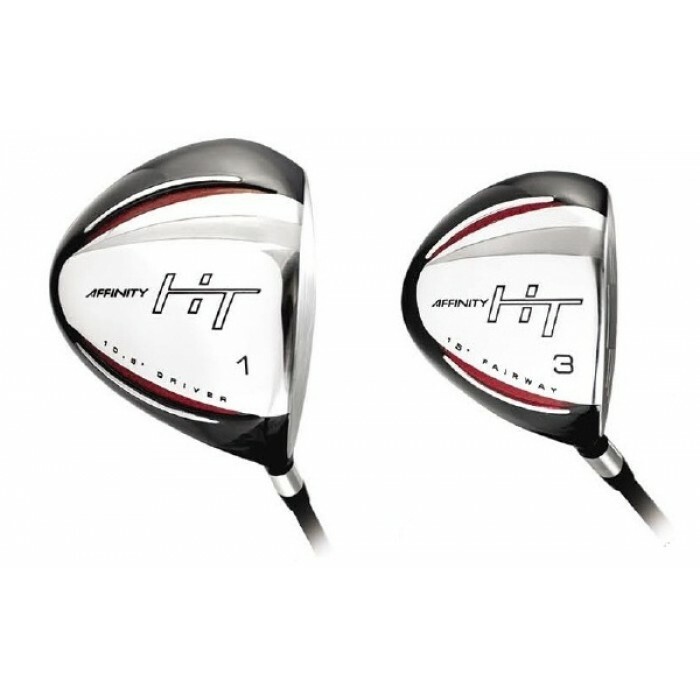 This club head design technology, plus the superior extreme modulus carbon graphite shaft technology produces a club with awesome swing speed and distance. What makes these woods so effective is the physics behind them: having the weight distributed to the perimeter of club head increases the moment of inertia; this reduces the torsional rotation of the club head. Simply put: the club head is more likely to come through the ball "square" and that means more straight shots and less hooks and slices!!! Handsomely designed with technology for season after season of excellent golf, you will be proud to have these in your golf bag!! 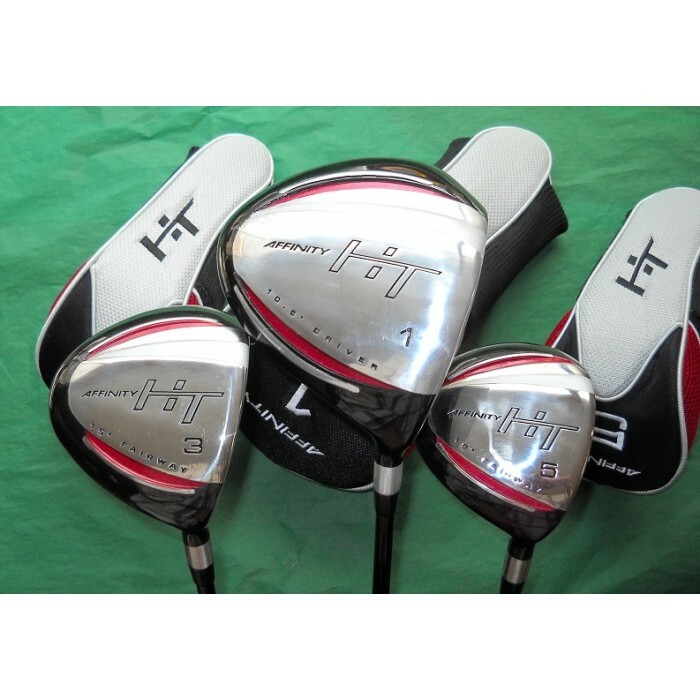 We are very pleased the styling and craftsmanship of these golf clubs! Keep in mind that titanium/stainless steel heads have outstanding durability. So even if you are a beginner or you are up-grading from a beginners set your can expect these clubs to last you a lifetime of golf. AFFINITY/ORLIMAR GOLF is headquartered right here in Michigan and they've been around for a long time (even longer than we have)! We've been playing their Golf Clubs since we were kids and have been nothing but satisfied and we GUARANTEE that you will be too! !